The US Men's National Team will not be going to the 2018 World Cup. This fact has caused considerable consternation among American soccer fans, most of whom can't remember a World Cup without the US present. Of course, that very fact demonstrates just how young soccer fandom is in the US, as the 40 years prior to 1990 spent without a World Cup appearance don't register much with Millenials. Still, the US has the largest population of CONCACAF countries by far and one of the largest economies in the world. Surely it should be able to make use of these advantages to dominate the conference, especially now given soccer's increased popularity? Indeed, one of the main premises of the book Soccernomics was that countries like the US would come to dominate soccer, since economic development and population size are key indicators of success in international soccer. While the latter half of that statement is certainly true, I think that analysis missed a key factor of why some countries are better at certain sports than others, a factor that explains why people should temper their expectations of the USMNT. Junior World Orienteering Championships Opening Ceremony 2007. I am one of these people. As an example, let's consider a lesser-known sport with which I have some personal experience: orienteering. For those of you who are totally lost (pun intended), a brief explanation: orienteering is a sport where you use a map and compass to find a number of specified locations in the wilderness as quickly as you possibly can (for more information you can click here). I was actually pretty good at this sport once, so much so that I was on the US Junior National Team for four straight years. Of course, making the US team in orienteering wasn't the achievement it sounds given the US was terrible at orienteering at the youth level. 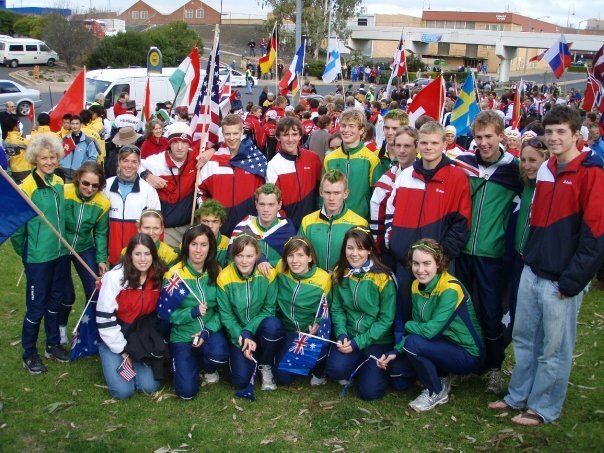 Most years, it was a struggle to find a full complement to bring to the Junior World Championships, and when we did compete we were usually close to the bottom along with Hong Kong, Israel, and Ireland. Who did well? The Scandinavian countries, particularly Norway, Sweden, and Finland, and Switzerland were consistently top. There's a reason I mentioned the countries above. Both those countries at the bottom and the top of the orienteering ladder have similar population sizes and have highly developed economies. So why did some do so well while the others didn't? Geographic factors played a part certainly (though there's a surprising amount of undeveloped land in which to run in Hong Kong, there's a lot less than in Norway). However, I think the main thing is simply the level of interest in the sport. 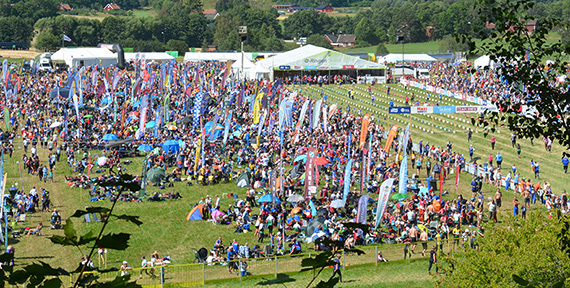 Sweden is the birthplace of competitive orienteering, has events that regularly get over 10,000 contestants (a US meet that has 200 is big), and even had news coverage of orienteering results. Perhaps most impressively, if you say the word orienteering, you aren't looked at like you are from Mars. Norway and Finland are similarly enamored of the sport, and as a result these countries dominate year after year. Though they do not have the resources of the US, or dramatically more resources than Ireland, Hong Kong, or Israel, the higher interest in the sport means a greater share of their resources are invested in it. This is something you see around the world: there are always countries that are much better than they "should be" at a particular sport based on their economy and demographics if they have a high level of interest in it. The Netherlands has more Olympic medals in speed skating than any other country. Bulgaria has the 4th most weightlifting medals despite its size and level of economic development. No country is a match for Canada at hockey. Jamaica, the home of my fiancee, dominates in athletics, with Usain Bolt just the latest example of a storied tradition. They literally teach every child there how to pass a baton in a relay: say the word "reach" and Jamaicans instinctively move. The high school championships, known as Champs, are the biggest annual sporting event in the country. That stuff matters. Interest affects institutional resources, the pool of athletes available, coaching: everything really. US sporting interests diverge from the rest of the world. This is true of soccer as well, and that's a problem for the US, where interest in the sport, while growing, is still well behind team sports like basketball, football, and baseball. Look at any of the institutional factors blamed for poor youth development in soccer (travel teams/AAU, high costs, youth coaching not integrated with professional teams, etc.) and you'll find them just as much in baseball, basketball, and the like. Yet America continues to produce world-class talent at those sports but not at soccer. Similarly, America still has the most Olympic medals of any country in a wide range of sports, so it's not an institutional problem. The difference is that other countries put way more emphasis on soccer compared to America and that's always going to make a difference in how good the US can be. Soccer is the number one sport in most countries around the world, and even in countries where it is not (like Jamaica), it's still usually above the interest level in the US. Honestly, it's more surprising to me that the US has done as well as it has in my lifetime given soccer is a higher priority literally everywhere else. The idea that the US should always be making the World Cup smacks of the old, jingoistic doctrine of American exceptionalism. In fact it's America's actual exceptionalism, in this case its focus on team sports other than soccer, that shows why that thinking is seriously flawed here. Can the USMNT get better with improved coaching, better scouting, or a new "golden generation"? Of course, countries like Iceland show it can be done. But as with Iceland, those are all attempts to improve performance relative to an unchanged baseline expectation given population, economic development, and soccer's place in the country. Without a fundamental change to soccer's place in America's sports culture, America's place in soccer culture won't change either. As an American fan of Manchester City who was born in Albany, New York, I've been avidly following the nascent New York City FC since its inception in 2015. A team affiliated with Manchester City playing in my home state? Sign me up! However, I really think all Manchester City fans should be paying attention to them and not just us Yanks. Not only is the club a place where youth players and other young City signings can be tested (such as Angelino two years ago and Yangel Herrera this coming year), NYCFC attempts to play a similar style of football as well, focusing on attacking, possession-based football. That's before coming to the fact that the manager is one Patrick Vieira, who is probably one of the favorites to take over from Pep when the time comes. Last season, the team took a real step forward and made the playoffs, before being crushed by a far superior Toronto outfit (who somehow were unable to beat Seattle in the Final). That said, this season's squad is going to have a very different look to it, as Frank Lampard and Andoni Iraola retire after playing key roles last season. Last season's finish in the table and subsequent playoff appearance covered over some long-term issues regarding the defense in particular. This team still has a lot of attacking talent, but they're gambling that a focus on ball retention can cover up a paper-thin defense. That is difficult to achieve anywhere, but especially so in a league where the talent level is below that of the top European leagues. It might be great, it might not, but it certainly won't be boring. NYCFC's season can be pretty easily divided into two halves: before that Hudson River Derby and after that Hudson River Derby. That Hudson River Derby was a 7-1 shellacking at the hands of New York Red Bull(s?) which was about as bad as it could possibly get for NYCFC fans. However, that game marked the first appearance of Frank Lampard in this season and was the driver to move Iraola into the base of midfield, a role he played the rest of the season. From that point forward, NYCFC had a very steady midfield trio of Lampard, Pirlo, and Iraola to support David Villa up top, along with a rotating but talented case of Jack Harrison, Stiven Mendoza, Khiry Shelton, and Tommy McNamara on the wings. It also marked the end of Mix Diskerud's and Federico Bravo's run in the side, as they played 80% and 72% of their total minutes on the season prior to that. The results speak for themselves: up to and including that Derby, NYCFC averaged 1.3 points per game, afterwards they averaged 1.8. That uptick in form was enough to secure a second-place finish in the Eastern Conference, but it was more than a little fortuitous. NYCFC actually had a negative xGD, mainly because their defense was terrible with the 4th worst xGA. This video sheds light on some of the reasons why: little cohesion in backline, inability to track runners, and insistence on playing from the back with personnel ill-suited for it. As in that game though, the attack usually made up for it, with Lampard and Villa in particular turning in stellar seasons. The rookie Jack Harrison (a former United trainee) provided a real creative spark on the wings, coming up with perhaps one of the goals of the season by beating several players while coming in from the right wing to curl home a beautiful finish. Ultimately though, New York's defensive shortcomings came back to bite them against the talented frontline of Giovinco and Jozy Altidore (who is actually decent in MLS and yes I know that says a lot) in the playoffs, losing 7-0 on aggregate. Above is a table of the Usage Rates for NYCFC last season, and thanks to American Soccer Analysis, I have xG and xA numbers for each player as well. What this allows us to do is not only show how heavily each player was involved in the attack, but also show how efficient each player was with the possessions he used as measured by expected goals. This works as a nice complement to my usual efficiency measure: percentage of possessions with a positive outcome. As one might have guessed, Villa had the biggest role in the attack by Usage Rate, but he also produced a hefty 5.15 goals for each 100 possessions used which is also the best on the team. Second by that measure is the retiring Lampard, at 4.89, which shows just how much he'll be missed next year. Though his goals total likely would have come down anyway (he scored 12 on just 6.76 xG; take a look at this video for some of his finishing luck), his ability to score and create while not being a focal point of the offense was critical to NYCFC last season. Two other players whose numbers stick out are Ronald Matarrita and Iraola. I mentioned Iraola's impact before, but the stats give a clearer picture as to why his move to midfield helped NYCFC so much. His passing range was far superior to Bravo's and enabled NYCFC to build up much more effectively when installed in the deep-lying role, while also bringing better defensive positional sense. The low number of turnovers (and correspondingly low Usage Rate) and high passing volume (3rd most passes on the team) distributed the ball to Pirlo and Lampard excellently allowing them to dominate play further up the pitch. As with Lampard, he will not be easily replaced. Meanwhile, the statistics for Matarrita (and to a lesser extent RJ Allen) show just how high up the fullbacks were in the attack. His Usage Rate is comparable to Pirlo, but because he didn't use the ball very efficiently (only 14% resulted in a shot or chance created) numerous times the opposition came right back down his side. Being outnumbered on the counter was one of many defensive problems City faced last season as a result. MLS squad construction is always tricky, see this excellent flowchart for its intricacies. The basic gist is that there is a salary cap for each team, but in order to attract top names from other leagues, a team can have a certain number of Designated Players whose salary can be much higher but counts for relatively little towards the cap. That is how David Villa, Lampard, and Pirlo were brought to the club, so it obviously works as intended, but it also makes vast intra-club salary disparities and relatedly tends to make for a stars and scrubs approach to squad building. As such, it's important that your DP players live up to expectation and also critical to find players outperforming their salary. As you can see, because the salaries for the Designated Players are an order of magnitude higher, they don't look so good once you take into account their cost (though they would look much better when it comes to their salary cap hold). It also highlights just how valuable Tommy McNamara is, since his salary is so much lower than most of the other players and he's contributing these goals from midfield. The salaries spent on defenders seem high given their abysmal defensive performance last season. As mentioned, this will be a very different NYCFC team compared to last season. Over half of the players with MLS minutes last season will be gone this season (assuming Diskerud leaves), and 9 of the 19 with more than 500 minutes. In addition to Iraola and Lampard, starting keeper Josh Saunders and defender Jason Hernandez will be leaving, as well as forward Stiven Mendoza. Not all of these departures are necessarily a bad thing: Saunders was overrated as a keeper and disastrous with the ball at his feet (he makes Joe Hart seem a natural at playing from the back). Hernandez too, despite his New York roots, seemed a bit out of place at both center-back and right-back. Other than Saunders' replacement Sean Johnson, the incoming players don't really seem to fix either the preexisting or the looming holes in the squad. NYCFC's only signed two defenders despite their poor results, one of whom was a trialist in training camp. There are two possible replacements for Iraola, but Yangel Herrera is 19 and Alexander Ring was struggling for minutes in the German second division. Hopefully one of them will be able to step up and make the position his own. The primary focus of the window has been attack once again. NYCFC's first signing was striker Sean Okoli from the USL, they drafted attacker Jonathan Lewis, and their international signing was Maxi Moralez from Leon, formerly of Atalanta in Serie A.With Villa entrenched at striker, Okoli is presumably relegated to backup duty, Lewis will have to contend with NYCFC's last two rookies Shelton and Harrison to get minutes. Moralez is primarily a Number 10, so it will be interesting to see if NYCFC shoehorn him into the 4-3-3 they had played with last season in Lampard's role or give him more freedom further forward. His Usage Rate is also higher than Lampard's, which make it tougher to integrate in a midfield with Pirlo. That said, he played with a Pirlo clone in Luca Cigarini at Atalanta, so he can probably make it work here. NYCFC seem to be hoping that Moralez's creativity can create enough chances for Villa so that Lampard's magical finishing is not missed, that better passing from the keeper and backline reduce the number of easy opportunities for opponents, and that one or both of Herrera and Ring can solidify the midfield. The promising youth talent will likely improve once more, as Harrison and Shelton in particular stand to gain from Stiven Mendoza leaving, providing an extra boost. However, there are still clear issues across the defense and the age of key players Villa and Pirlo are also a concern. All in all, I'd expect something similar to last season: a dangerous attacking outfit with defensive issues that can make the playoffs, but not make too much noise once there. That's not really a bad thing, but whether that will meet the demands of the fans and ownership is another thing entirely.